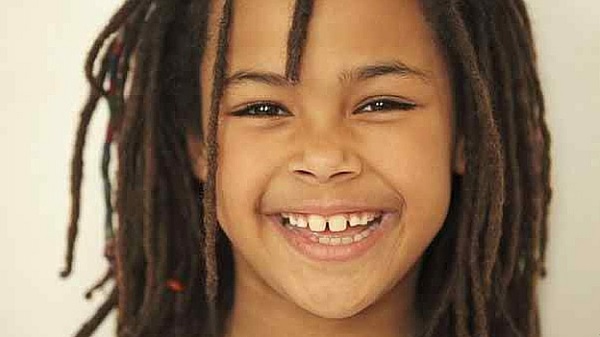 Dreadlocks, also known as dreads, locks and in Sanskrit it is mainly known as Jata, are the sculpted ropes of hair. It is one kind of hairstyle though you may feel it as a trouble to your beauty. Dreadlock is when someone’s hair is twisted and hanged down on all sides of the head. It can be dirty and create so many problems if you don’t take care of them properly. However, someone may like while you do not; and you are running after the ways of how to get rid of dreadlocks. Here are some best methods to remove locs without cutting them off! Before we discuss how to get rid of dreadlocks, we have to dish out all the facts and myths for you, because there are quite a few myths about removing dreadlocks. Dreadlocks are always dirty and smelly and you should never be washed your dreadlocks. This is totally false, You should wash your hair every few days to get rid of your unwanted dreadlocks. The one and only way to get rid of dreadlocks is to shave the entire head. Or, you need to cut them very, very close to your scalp. If you do not shave the head, untangling dreadlocks is going to be painful and harmful to your hair and scalp. It’s natural that we all love our hair, so if you want to keep your hair, you should take a long bath and use the dread removal cream. After using the cream comb them out. The consequence result is that you will get 4or 5 inches of hair. There are primarily two options that can get rid you off of dreadlocks. Either cutting off or having a treatment. Check the nature of your dreadlocks. You should not cut your dreads if they are loose and open. On the other side, if you think they are for long days and tight and probably cutting off the dreads will be a better solution for dreadlocks. Yes, shaving your hair or cutting it off is the easiest way to get rid of dreadlocks, but it isn’t the only way. There are some ways to successfully get rid of those tangles. You can use any of them as you think. How tight the knots are. How long have dreads been like that. Also, how many helpers you have. In order to avoid using your scissors in frustration, you should tackle just one lock of hair at a time. After untangling it, pick another. Remember how patient you were while starting dreadlocks. You need that patience again. Your reward would be a head full loose hair you spent years growing and grooming. It is time-consuming but worth it. Beside these materials, there are many removal kits available in the markets which are very reasonable. You need at least 4-8 hours but if your problem is acute, it will take 15 hours if you are patient. However, it can take as long as one week. You may want to use a scarf or stay at home if you don’t have any urgent work. Submerge your dreadlocks in water for at least ten minutes. Wash them thoroughly with some shampoo. The water should be as safely hot as possible. This would help melt all the wax and/or greasiness that built up. You should do this by applying a small amount of shampoo in every dreadlock. Rinse off all the shampoo. Apply conditioner in each lock and start picking every dread carefully and delicately with a metallic comb, starting from the end and working up to the scalp. Remember, this would take a long time, but hang in there. When you have finished picking out every last dreadlock, you have to condition your hair again. Yes, with a lot of it. Let it sit into your hair for about five minutes. It helps repair much of the damage picking caused. This step is very important, and in this step, you have to dry your dreadlocks. After that you will see, your strands are flowing and losing. Then you have to use another round of kit. It will help you to clean the scalp properly and the extra conditioning properties will give you relief from the stress of pulling. After using the kit, your hair will look little bit crazy but that’s normal. Don’t get upset for that. Try to follow the rules and these techniques will help you to get rid of dreadlocks. Last but not the least, go to a parlor and get yourself a new hairstyle. NOTE: In case you possess colored, rebounded, premed, relaxed or otherwise treated dreadlocks, you might have more hair breakage. Be cautious, be slow, and be practical in your expectations and don’t get upset. If you want to cut the dreads off by yourself, you can use a scissor. Be careful that you are cutting them up to at least 10 cm long as the less you will cut them off the less will work to get you rid of the dreads. In this method, first of all you have to wet your hair after you have cut them off. It would be better if you use your regular conditioner to damp your hair. Take a handful of conditioner and apply to your hair. Now, depending on the nature of hair (Afro or curly), you will have to wait for 3 to 5 minutes while the hair is in conditioners. After 3 to 5 minutes, wipe out your hair with a dry towel. Let your hair dry well in the air. Once your hair is dry, you have to moisturize your hair in order to make them even softer. The best moisturizer for your hair is organic Aloe Vera. Just apply some aloe extract on your hair. In the next step, you will have to comb your hair. But, be careful while you are combing your hair. Use your hand to loosen the dreads up. Now, start from the end of the hair to comb gently. Go towards the scalp bit by bit. Now in the final step, you can wash your hair again after you have combed your hair. Take some alcohol in a bowl and then immerse the dreads. Gently rub the dreads in that alcohol. Now, take and cover your dreads with a plastic bag. Let it be as it is for around 30 minutes. Now, wash the dreadlocks with cold water. Repeat the action for three days in a week. It will reduce the dreadlocks. Pour some vinegar in a large bucket. Use a bottle to put off Cayenne pepper. Soak your dreads in the solution (Be careful that it is not getting on your face). Now, cover your dreads with a towel and keep for a couple of hours. Afterward, wash it off with the cold water. 5. Wash it off with the cold water. 1. I have no dreads, but I have a huge knot! Will this help? Of course! This technique will work perfectly. But, if there’s no free end, you have to begin with your dry hair. Once loose enough to locate free ends, begin the process described. 2. I got rid of dreadlocks fine until I reached the roots. What now? Near the roots, you will see some tough build-up of hair. That knot has been rubbing on your scalp and getting tighter. Keep combing with patience, more of it. Once it’s in the open, a couple more washes would make it go away. 3. I did get rid of dreadlocks nicely, but my head feels so less. I lost a lot of hair. Will I go bald? No, not necessarily. If you have been careful enough, most of the hair was what you have lost over the time you grew your dreads, completely naturally. You have been storing every strand of hair you grew before. Loose, non-dreaded hair is light in comparison to the weight of dreadlock. It will feel a bit different for the first few weeks. 4. I hate normal hair! Can I please have my dreads back? Definitely! Dreadlocks have absolutely no time limit before you can start over. Give your hair four or five washes to get rid of slippery conditioner you put on. If you have had a friend to help you get rid of dreadlocks, you should probably ask a different friend to help you grow them again. If you are able to do this treatment properly, you will be able to reduce dreadlock and your hair will be free from other problems also. On the other hand, if you face acute problem, you should consult with your doctor and follow the rules and take medicine properly. Because healthy hair evolves your look, smartness, personality and so on.